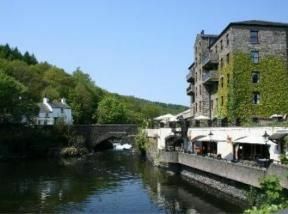 Imagine your own vacation cottage in the Lake District on the banks of England’s River Leven. Lakeland Village consists of 47 properties of one, two or three-bedroom units that you can own when you discover these Lake Windermere timeshare resales. Your private cottage will have fully equipped kitchens with high-standard fixtures, complimentary Wi-Fi, bed linen and towels and entertainment systems. The resort is maintained at a five-star status and, through an exchange company, owners can even exchange their units for other timeshares at different destinations. Located at the southern end of Lake Windermere, Lakeland Village offers an indoor swimming pool, sauna, spa, fitness facility, squash and tennis courts and a playground for the kids. Some of the activities that are available near the village are bicycle trails, golf courses, sailboat rentals, horseback riding and fishing. There is a cocktail lounge and restaurant onsite, and you will also get reduced fees to the nearby attractions. Ulverston is a local town that is the birthplace of Stan Laurel and the site of the Laurel & Hardy Museum. You can also visit Cumbria Crystal and many tearooms and pubs. The South Lakes Safari Zoo is just a little further along the highway where you can see wild animals roaming free. With microbreweries, sandy beaches and many historical sights, there is no end to the fun things to do on the Furness Peninsula. The Lake District in Northern England is one of the top vacation destinations in the world, and after a day of adventure, your own holiday cottage awaits you with cozy comfort. You can have dinner by the fire or enjoy a meal at the restaurant. 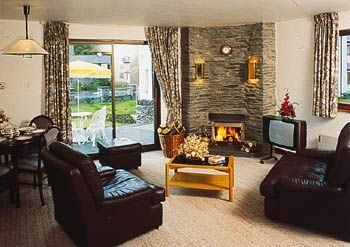 Lake Windermere timeshare resales also offer pet-friendly units. When you own a timeshare cottage on the banks of the River Leven, you have a holiday home for a relaxing and rejuvenating vacation every year. Contact Lakeland Village Specialist Today!